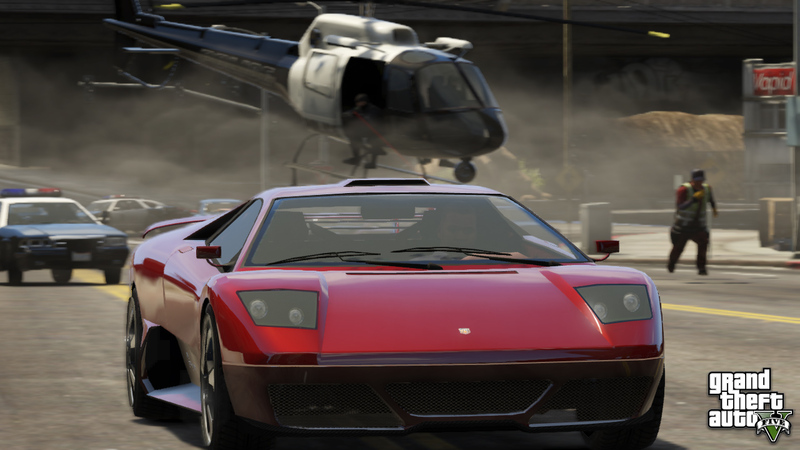 Rockstar has released four more never-before-seen images from its upcoming title, Grand Theft Auto: V.
It has been an exciting week for Grand Theft Auto enthusiasts eagerly awaiting news and information pertaining to GTA:V. Prior to today, Rockstar had released six images in two groups of three titled "Leisure" and "Transport." 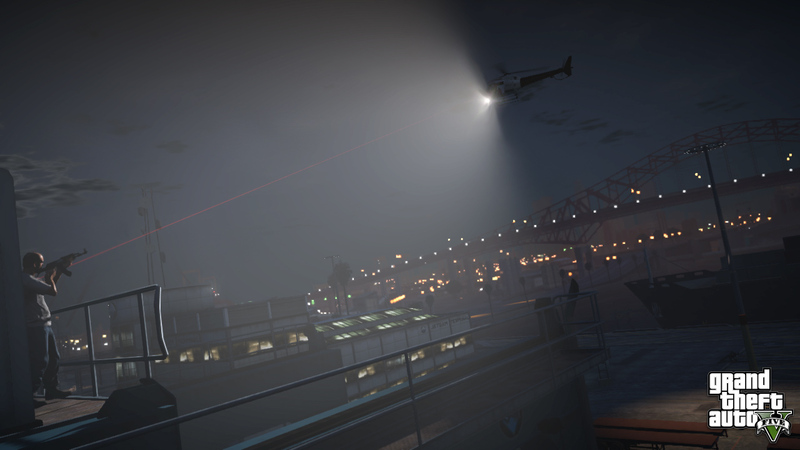 The latest image leak contains four images, simply titled "Business" on the official Rockstar site. 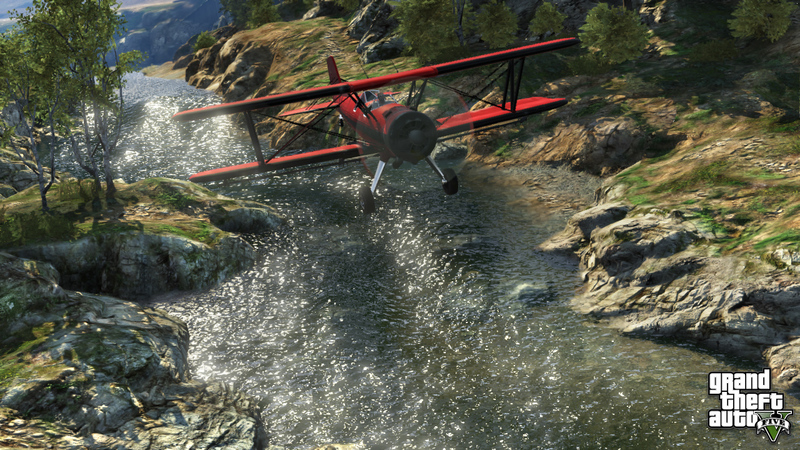 The first image features a bi-plane in flight over some picturesque scenery. Following that is what appears to be a street chase involving the usual police officers and... A semi? 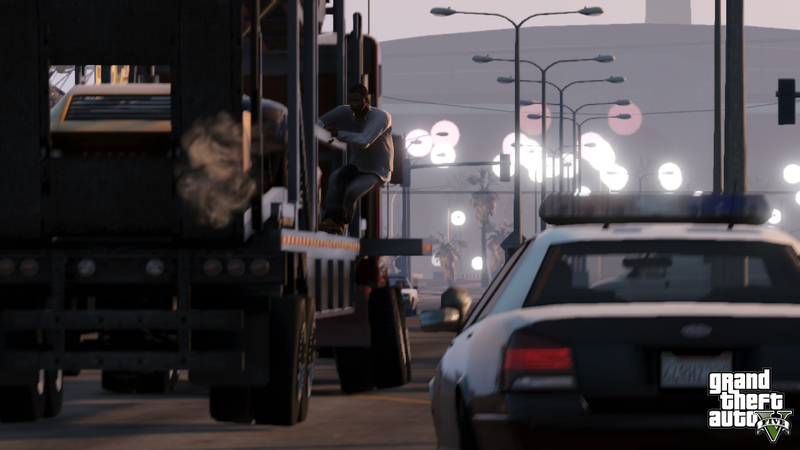 With a grappling fugitive navigating the trailer? I don't exactly know or understand the scenario that brought us here, but there sure must be an exciting explanation. What could be better than that, eh? Well, probably a street chase involving a helicopter practically driving down the road housing a sniper. Oh, and it's pursuing a lambo. Fun times indeed! Last but not least is your standard baddie shooting down a police helicopter with an AK-47. Because why not, dammit? I was personally surprised they posted that last one; the light makes the image looked washed-out and the scenery in the background appears rather PS2-like. Well, what are you thoughts? Share them in the comments below!